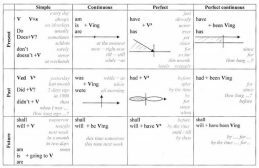 learn english tenses,lesson, free pdf. 3 English main verb tenses are present, past and future tense. The present, past and future tenses are divided into four aspects: the simple, progressive, perfect and perfect progressive. 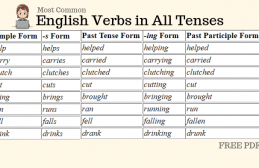 12 verb tenses that English learners should know.